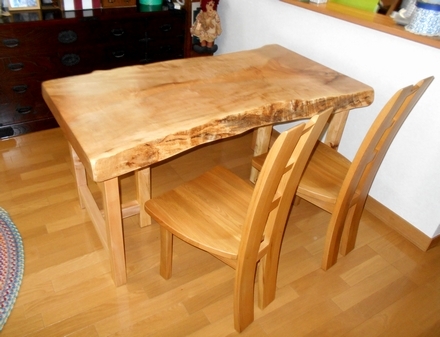 We made a delivery of a horse chestnut dining table. The legs are made from horse chestnut, too. 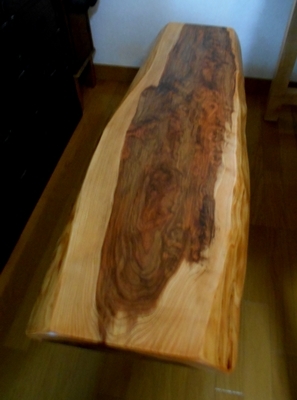 The bench is made with cedar burl and the chairs are made with ash. 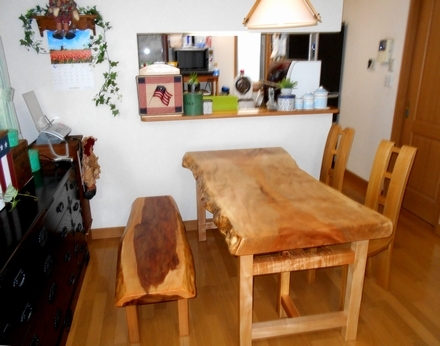 The table, chairs, and bench are all made from different wood, complimenting each other beautifully.